BACK ROW: Peter Hummel, John (Johnny) Harding. 3rd ROW: Monique Gaskin, David Marshall, Mary Cooper, Pat Brian *, Alan Horton *. 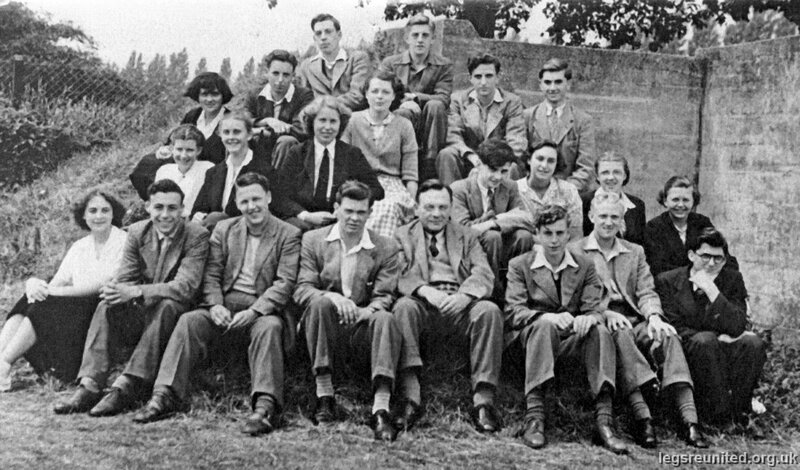 2nd ROW: Patrica Malcolm, Rosemary Bowyer, Doreen Wallis, Patrick Consadine, Jeanne Hollingworth *, Joy Flindall, Joyce Harrop. FRONT ROW: Jocie Kemp * , Tim (Timmy) Williams, Dennis Bradley , Dave Williams, Mr Crompton, John Lamb, Brian Addison and Ron Massey. * 2nd Year 6th Arts and Science. Additional names supplied by Jocie Kemp who says: photo was taken by Mr (Tashy) Mansfield (French Master and Cinema Buff ) 20 July 1951. Mr Crompton was our form master. By the way in his youth Crumps played hockey for England.